Last week, Marvel held a press event for their reveal of the entire movie lineup for the next five years. Eight films were announced, but not everyone knows what – or who – they are going to be about. For newer Marvel fans need some background, here is a quick rundown, movie by movie. First is Captain America: Civil War, which will be released May 6, 2016. It will be an adaptation of the Civil War storyline in Marvel Comics. The story involves the government aiming to pass a Superhuman Registration Act. This causes a divide between all of Marvel’s superheroes, including Iron Man and Captain America. Those in support of the bill are led by Iron Man and begin hunting those against the bill, led by Captain America. 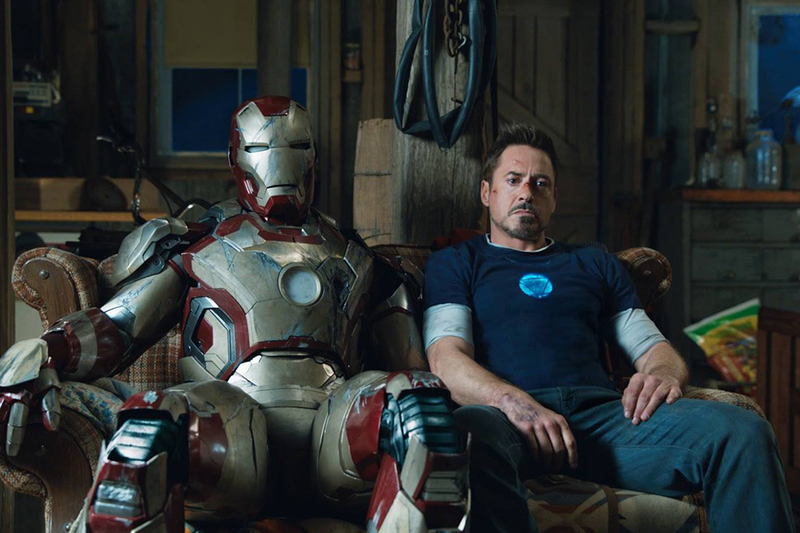 Robert Downey Jr. is confirmed to reprise his role as Iron Man in this movie which is in line with the Civil War story. This is an intellegent move on Marvel’s part since Civil War was one of their most successful comic book storylines. Also, since the directors of the critically acclaimed Captain America: The Winter Soldier will return, it seems to be shaping to be a pretty influential film in the Marvel Cinematic Universe. Next on the list is Doctor Strange. Set to release Nov. 4, 2016. Doctor Strange is one of Marvel’s lesser known properties. He is known as the “Sorcerer Supreme,” the world’s greatest user of magic. Before he was a sorcerer, he was a well-respected neurosurgeon for his ability to keep a steady hand during surgery. After an accident that ruined his hands, an old monk promised to fix his hands if he learned magic, after which he eventually he became the Sorcerer Supreme. As the Sorcerer Supreme, he fights against the forces of darkness to keep them from our world. According to Kevin Feige, the Doctor Strange movie will be the first time that actual magic will be introduced into the Marvel Cinematic Universe. This is a different move on Marvel’s part considering that they have made great efforts to portray all of their current movies as more science fiction than fantasy. It should be noted that Strange’s name was mentioned in Captain America: The Winter Soldier, further integrating him into the universe. Guardians of the Galaxy 2 should release May 5, 2017. Other than the same director, James Gunn, being attached to the movie, not much else has been revealed. The only thing we can count on is that it will be another hilarious space adventure. Moving on to some more engaging material, we have the third Thor movie, Thor: Ragnarok, slated for Jul. 28, 2017. For those who are unaware, Ragnarok is the Norse mythology version of the apocalypse where all of the Norse gods get killed. Many are predicting the movie to be an epic battle involving Thor and his other god friends fighting a fire demon called Surtur, that will bring about the end of the universe. Also, the movie will address why Loki is on the throne of Asgard instead of Odin, who is mysteriously missing. Another equally plausible theory is that the movie will be about Thor’s clone, Ragnarok. The clone was created during the Marvel Civil War by Iron Man after Thor is presumably killed. Since the Civil War is going to be its own movie before Thor: Ragnarok, it is a legitimate theory, but the first idea is more popular. Keeping the trend of reviving old properties, Black Panther should drop on Nov. 3, 2017. The Black Panther is credited as being the first black superhero in comics. Black Panther is the king of the fictional African country of Wakanda. The country sits on the only supply of “vibranium,” a powerful metal that makes up Captain America’s shield. Black Panther is as smart as and richer than Iron Man, and is well trained in various forms of martial arts. He is essentially the Batman of Marvel comics in terms of skills and wealth. Marvel has selected Chadwick Boseman (42) to take on the hero role. Furthermore, Kevin Feige has stated that the character will appear in Captain America: Civil War. Moving from Earth to space yet again, we have Captain Marvel for Jul. 6, 2018. Captain Marvel (or Ms. Marvel) is an air force pilot named Carol Danvers. After being exposed to radiation from an alien species called the Kree, she gains powers of flight, energy projection and absorption, and the ability to travel through space. With this Captain Marvel movie, Marvel Studios is making its first stand-alone superhero movie with a leading female character, which is a huge step forward for them, and the genre. Arguably the biggest enigma on the list is Inhumans. “Inhumans” in the Marvel Comics universe are a separate evolutionary line of humans that was genetically altered by the aforementioned Kree alien race. Because of the side effects of this genetic mutation, the Inhumans formed their own society and lived in seclusion from the rest of humanity. The storylines tend to focus on the Inhuman Royal Family, consisting of seven members (usually), each with their own unique powers. Many people theorize that Quicksilver and the Scarlet Witch, two characters that will be introduced in Avengers: Age of Ultron, will be classified as Inhumans since Marvel Studios cannot mention the fact that they are mutants since Fox Studios owns the rights to the X-Men (including all related terms like “mutants”). Inhumans is slotted to release Nov. 2, 2018. Last, but certainly not least, is Avengers: Infinity War. The third Avengers movie will also be a two part feature, with Part I being released May 4, 2018 and Part II being released May 3, 2019. Infinity War is the film that Marvel has been building up to since Avengers in 2012. The title is referencing the Infinity Stones, gems of extreme power that have appeared in several Marvel movies since Captain America: The First Avenger. The main villain of the film has been stated to be Thanos, who appeared after the credits in Avengers and had a brief cameo in Guardians of the Galaxy. He is an ultimate being that uses the Infinity Stones to take over the universe, but of course the Avengers and all other heroes that have been introduced before this movie will be there to stop him. Overall, Marvel has an ambitious plan for the next five years and is ready to take bigger steps and consequently larger risks. Whether or not these risks will pay off remains to be seen; already, critics are speculating that Marvel Studios may have bitten off more than they can chew by announcing such a massive lineup. With Avengers: Age of Ultron to be released May 1, 2015, though, fans can begin to get excited for the great things that are in store.